Heaven on Earth. 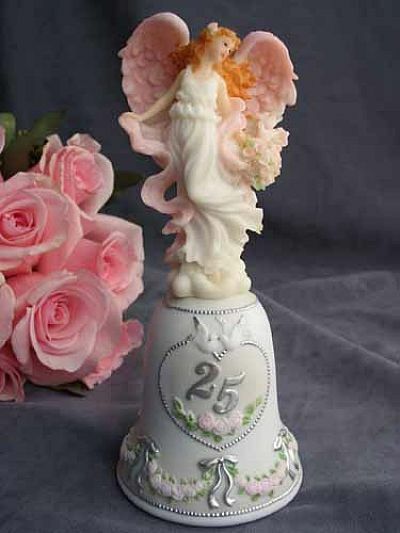 This elegant 50th Anniversary angel bell would make a perfect addition for your guestbook table, or to crown the top of your wedding cake. Also perfect for Christian themed weddings. Made of resin. Perfect for the wedding of a Seraphim Angels fan!